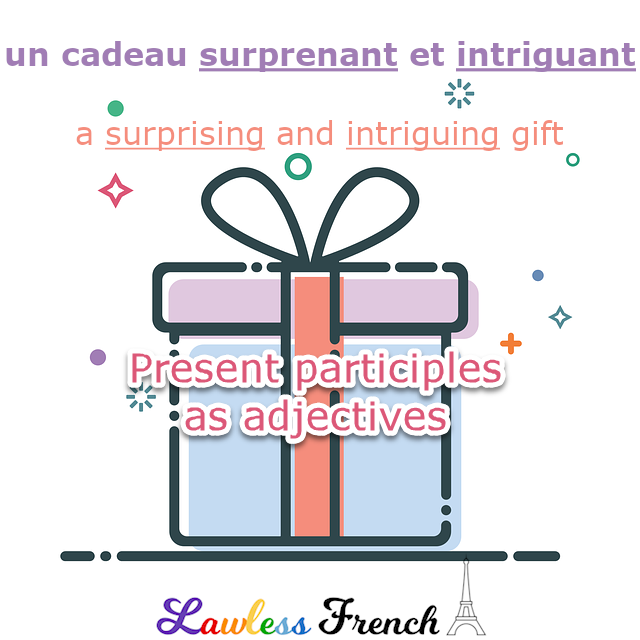 The French present participle may be used as an adjective, noun, verb, or gerund. 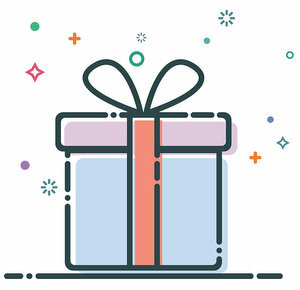 When used as an adjective, the present participle follows the same gender and number agreement rules as other adjectives, and typically follows the noun. Likewise, when used as a noun, the present participle follows the same gender and number agreement rules as other nouns. Many verbs whose present participles are commonly used as nouns and/or adjectives have two different spellings: the one conjugated the normal way serves as the verb or gerund, while a second form is required when it’s used as a noun or adjective. 1) When present participles end in –guant, the noun/adjective form loses the u. 2) For present participles that end in –quant, the noun/adjective form usually ends in –cant. 4) The verb savoir is just the opposite: it has an irregular present participle when it’s used as a verb or gerund, but follows the normal conjugation rules when it’s used as a noun or adjective.